Our Kalamazoo sports dentist can fit you with a custom mouth guard to set you up for success on the field. Contact us today to learn more! Many sporting goods stores sell pre-made mouth guards or “boil-and-bite” mouth guards, which claim to give a secure fit. However, these mouth guards simply don’t fit as well as a custom mouth guard from our experienced Kalamazoo dentist. Our dentist is happy to custom-fit your mouth guard to keep you safe while you play. 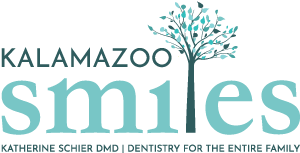 Give us a call at (269) 353-3700 to make an appointment with the Kalamazoo, MI sports dentist at Kalamazoo Smiles today.